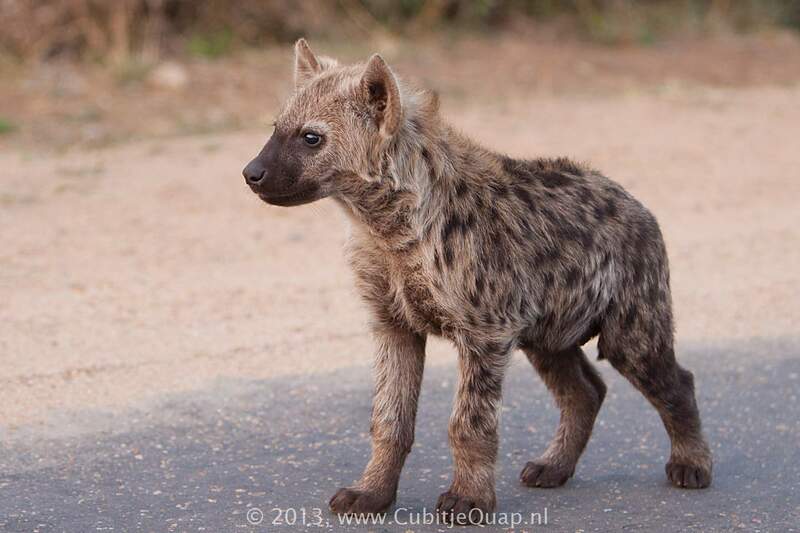 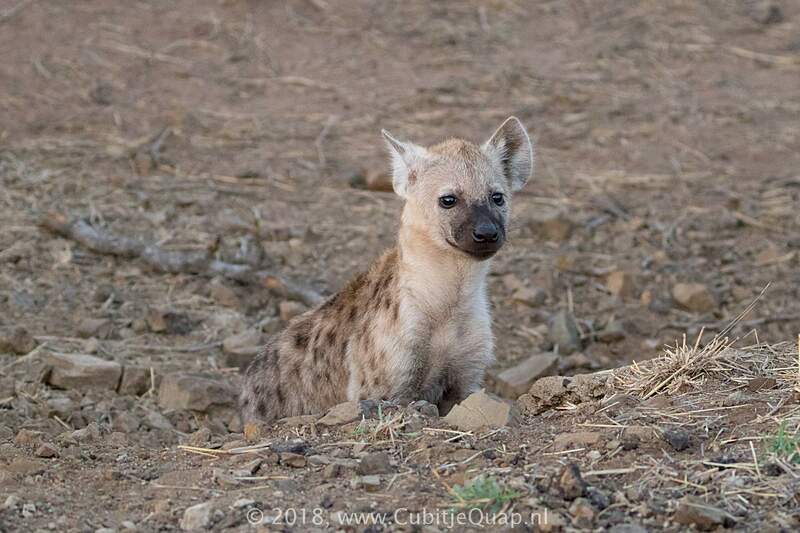 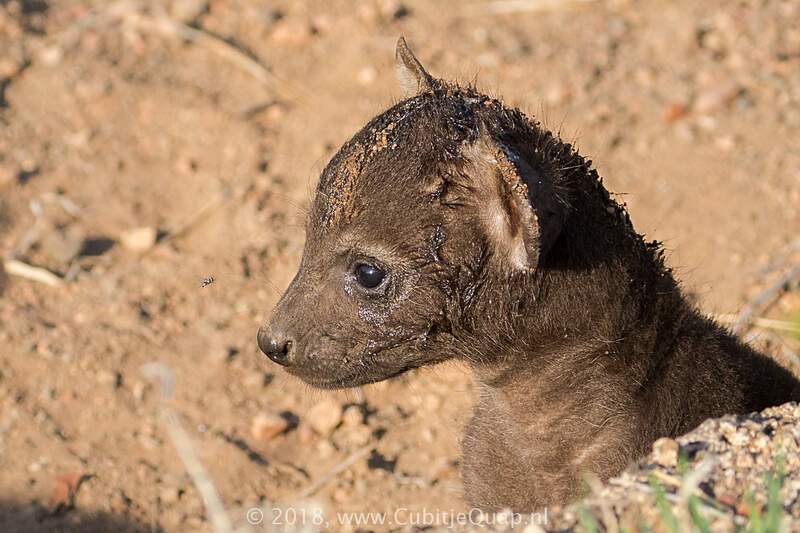 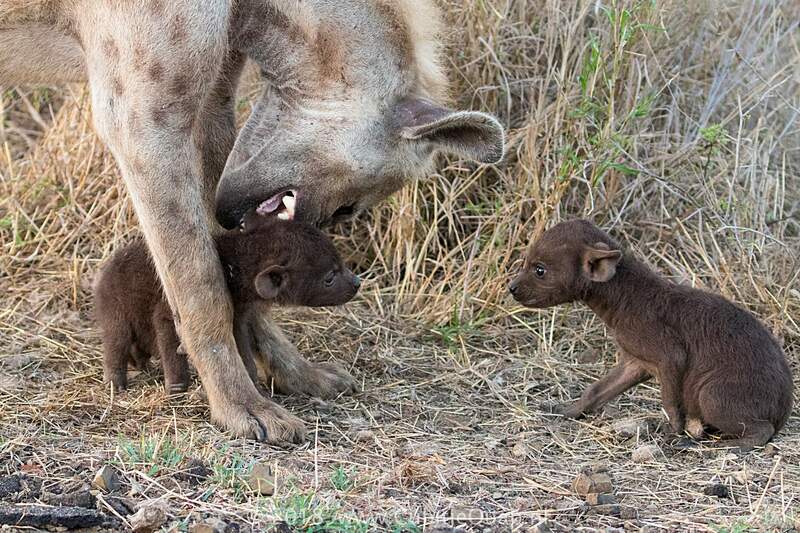 Life starts out rough for a young hyena cub. 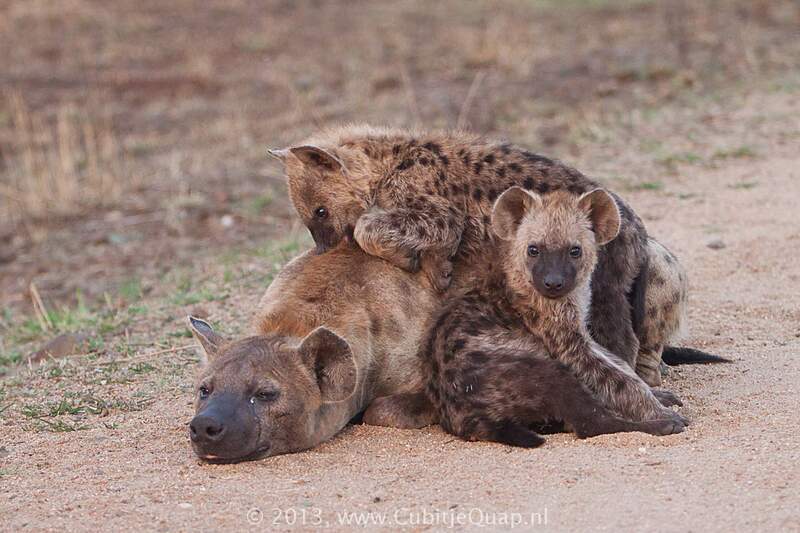 The average litter has two cubs, and the competition between them starts right away. 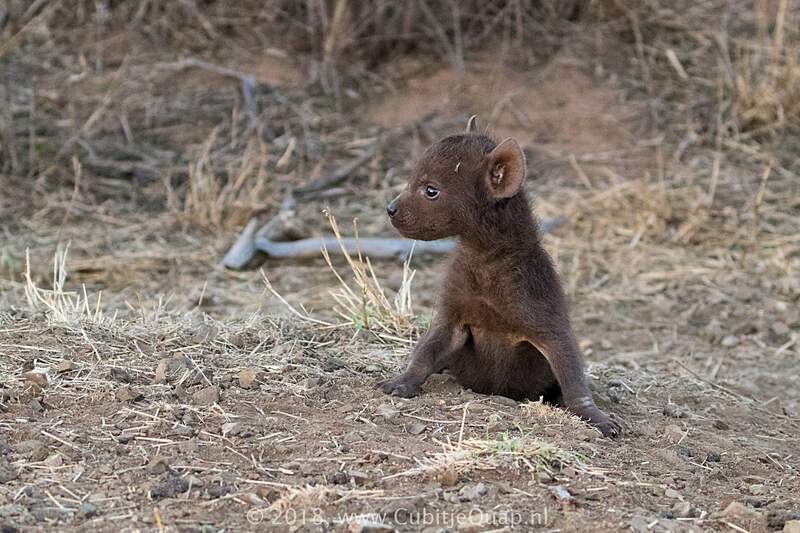 Cubs are born with dark fur, their eyes open, and some teeth already present. 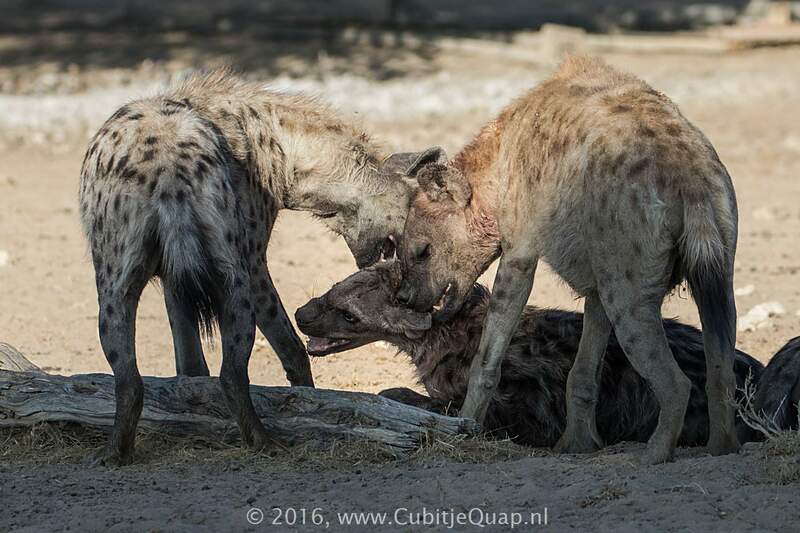 They fight over who will be the dominant one and nurse first, sometimes killing their weaker sibling. 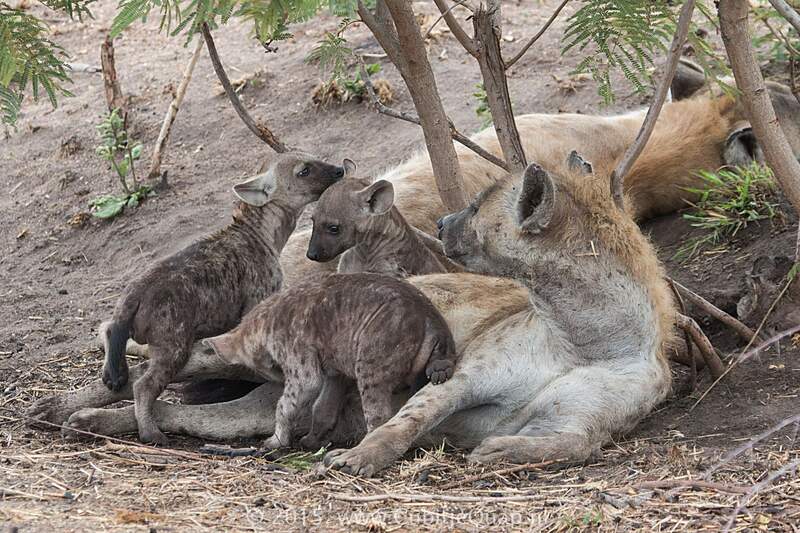 Mom keeps the cubs in a private den at first to ensure their survival. 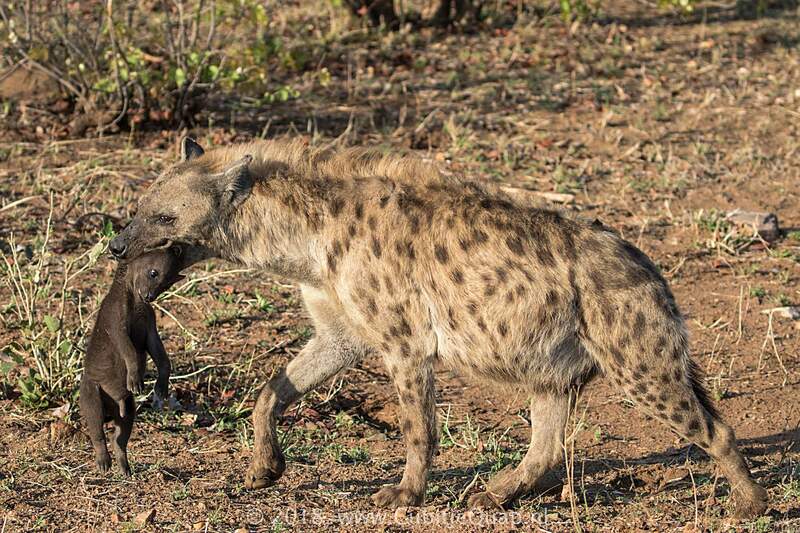 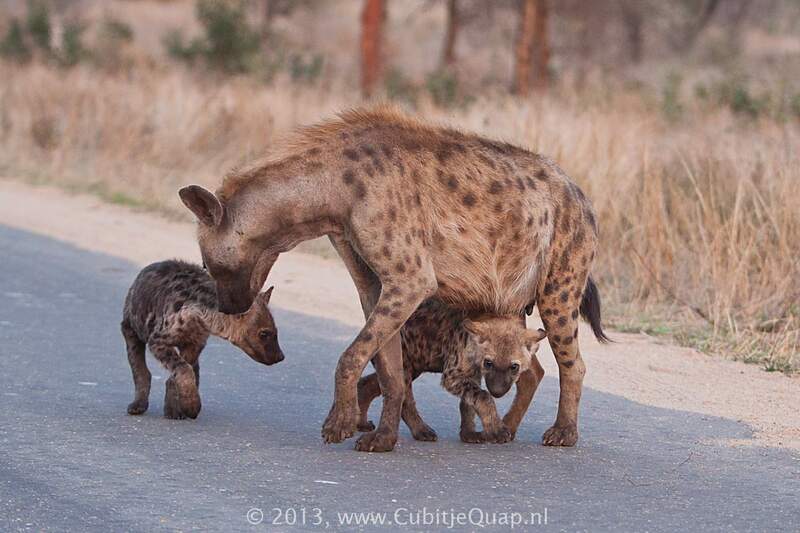 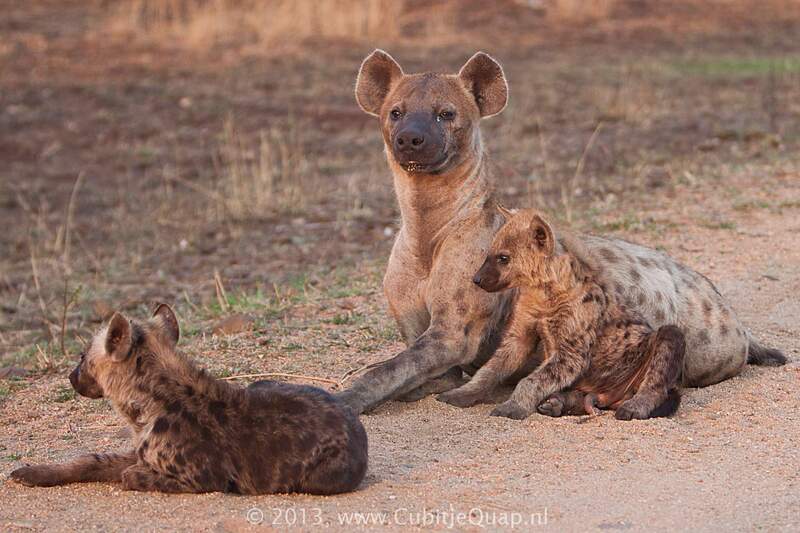 The spotted hyena is the only hyena species that uses specific dens to shelter cubs. 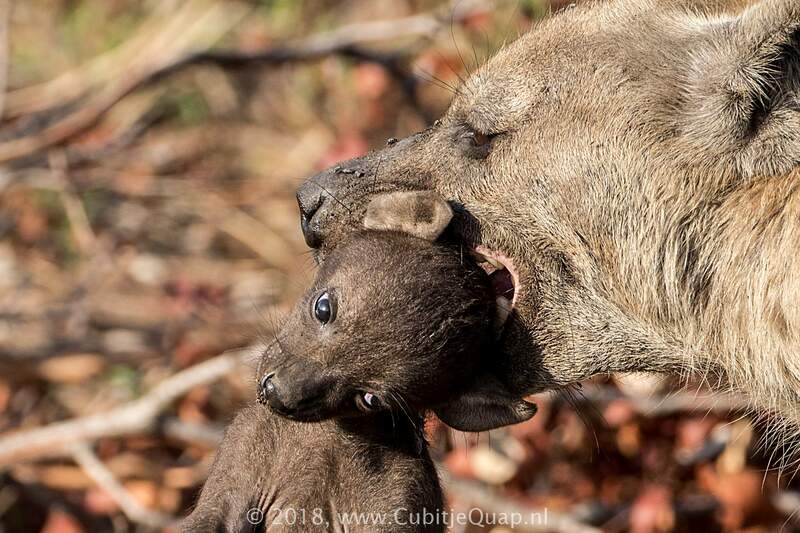 At two to six weeks of age, the mother moves the cubs to a den shared by others where they can meet the rest of the clan and begin to establish their rank. 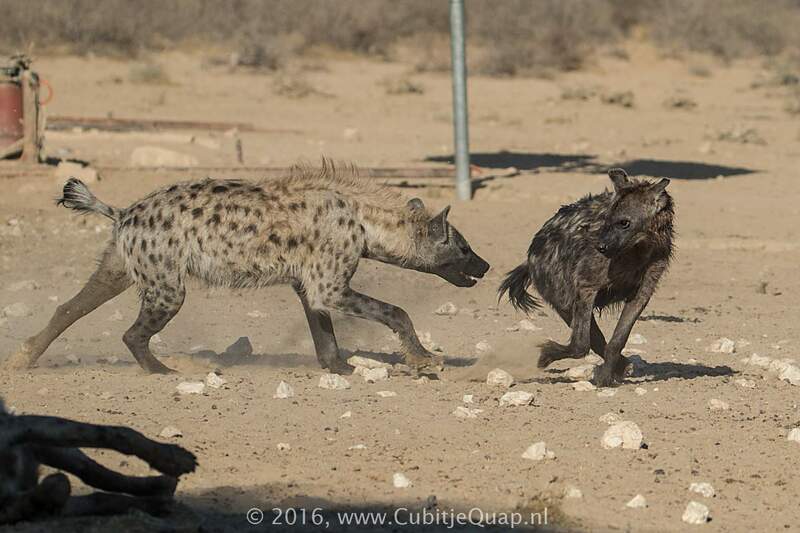 How they hunt, how they eat, and how they fight are all determined by rank within the clan. 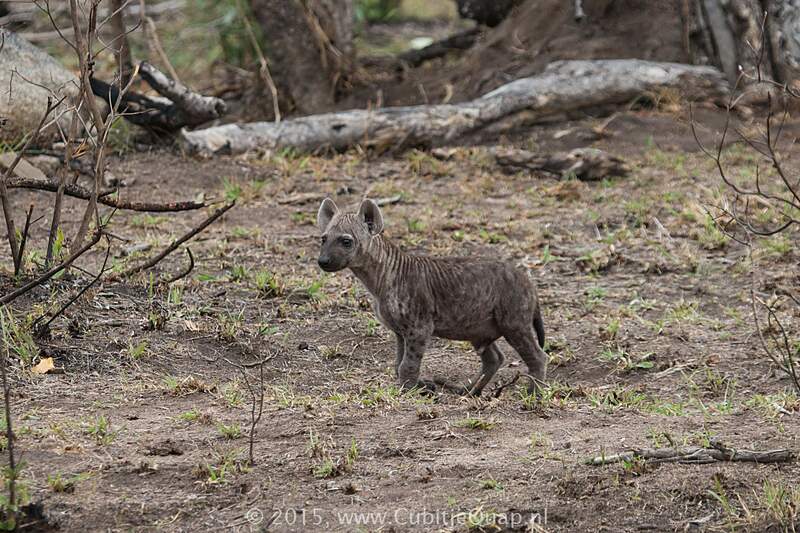 At about two months of age, the cub loses its brown coat and begins to look like the spotted adults. 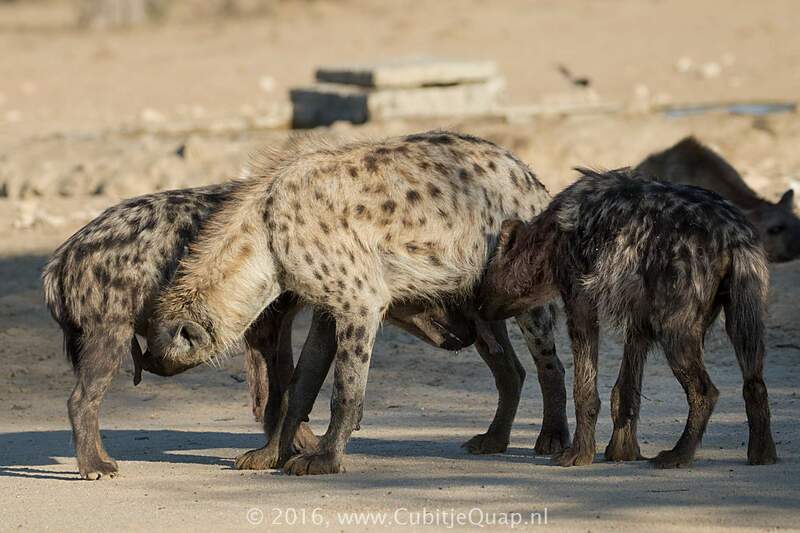 Female cubs always stay with their birth clan, but the males are forced out upon maturity at around age three, if not sooner.